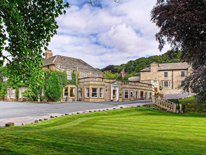 Designed to showcase those establishments that provide the warmest of welcomes, these 100 recipients are all VisitEngland assessed accommodation providers; places where the owners, managers and staff really know how to delight their customers, irrespective of their star rating, style or type of accommodation. This charming B&B offers exceptional standards. Breakfast is a highlight of a stay, with locally sourced produce all cooked freshly and served with genuine warmth. One guest said: "Joan and Robin are the most generous of hosts...nothing is too much trouble. The rooms are large and comfortable, the breakfasts are delicious and the surroundings are beautiful. I was attending a course at the School of Artisan Food and could walk there easily, within about twenty five minutes. Robin would pick us up at the end of the day and would even ferry us to the local pub. Highly recommended." 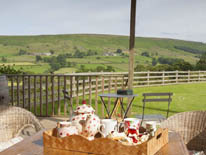 This delightful B&B in the Peak District village of Castleton is a gem. Guests have written: "Janet is a wonderful breakfast host and helped to arrange our days out each morning", and "Our room was romantic and lovely... Fresh flowers were such a nice touch and we enjoyed champagne in our room on our anniversary night." A beautiful guest house located within walking distance of the city centre with rooms elegantly furnished and kept immaculately clean. Guests have written: "My friend came to pick me up and take me back north. He stayed for breakfast and Anna and Iain refused any money. If I am ever in Lincoln again this will be my first choice to stay without a doubt", and "I travel for work and stay in lots of places. This is my favourite. Iain and Anna love their house, their work and their guests. There is nothing they haven't thought of - nothing that is too much trouble." 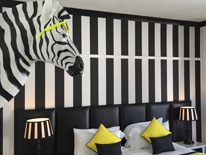 Five exclusive holiday lets, specially designed to be smart, uncluttered and stylish. 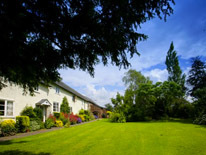 Reviews have mentioned: "Jeanette and Rob are such a genuine couple and go out of their way to make your stay as relaxing and pleasant as possible", and "Their welcome was superb and, for me, they strike exactly the right balance between being around for a chat and great recommendations, and giving you plenty of space." 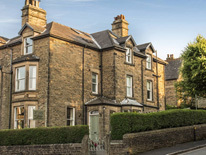 A newly refurbished Victorian property, this B&B is ideally placed for guests to explore everything Buxton and the Peak District has to offer. Reviews are very positive: "Martin is the most approachable of hosts informative and generous of his time without being intrusive. For their guests Martin and Kathryn have covered pretty much everything. Eight holiday cottages set in 12 acres of pastureland which have been lovingly refurbished to the highest standard of style and comfort. 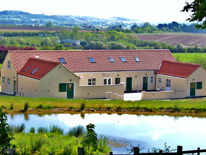 They are ideal for families and groups, and are dog friendly, child friendly and eco-friendly. A guest wrote: "We stayed there for our wedding anniversary and Deborah and Martin had put up a "Happy Anniversary" banner to greet us with magnetic scrabble letters welcoming me and my wife." 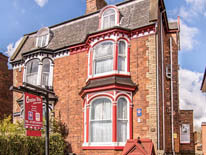 This charming B&B is conveniently situated near the heart of historic Ely and located on a quiet street. Breakfast features in many of the reviews: "Breakfast was amazing and the quality of ingredients were perfect. They even have their own chickens", and "Every possible comfort had been thought of. The breakfast was amazing - we even had edible flowers from the garden." These two self-catering cottages are just a few minutes’ walk from the centre of Burnham Market, making it convenient for many different types of visitor. 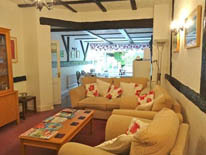 Ebenezer Cottage has been furnished to a good standard with lots of little extras, making it a real home from home. The Sheilings is all on one level, and the owners live close by and maintain the property to a very good standard. They find out their guests' favourite newspaper and deliver them free of charge, much to the surprise of the new visitors! A working arable farm that has been home to the Hockley Family for five generations. 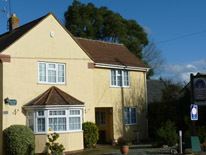 The gardens of this B&B are immaculate and there are many footpaths around where guests can walk their dogs. A guest wrote: "After walking 11 or so miles on a miserable wet and cold Saturday I arrived at Friars Farm. I was immediately made welcome, my wet walking gear was taken away to be dried and a fresh cafetière of coffee brought into the residents lounge which already had a great roaring fire going." 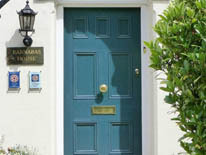 This friendly B&B is situated about a mile and a half north east of the historic centre of Cambridge. Guests appreciate the generosity of the hosts: "KitKat, shortbread and Twix left in room every day and plenty of different toiletries in the bathroom. The hostess couldn't have been more helpful. Excellent." 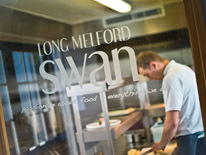 The Swan is a Restaurant with Rooms in the heart of Long Melford village. 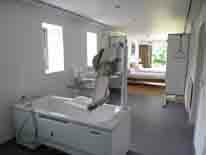 The bedrooms and bathrooms are seriously smart and the food divine but it is the hospitality of the whole team that makes it stand out. Guest reviews make this clear: "Staff are friendly, helpful and make you feel that that you really matter to them", and "Our breakfast was excellent, served by the same friendly waitress every morning. Nothing was a problem. She is a credit to the Swan like all the staff." 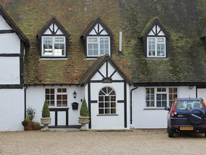 This small and friendly B&B stands within two acres of stunning gardens, and is located in Wimbish, near Saffron Walden. 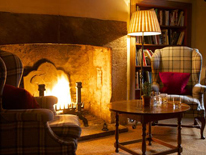 Reviews are very complimentary about the owners: "As Jacky and John were going to the same Burns Night Supper, they drove us down and brought us back." 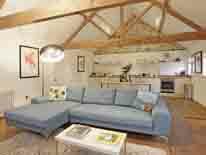 A stunning self-catering barn conversion located in the Suffolk countryside, close to the coastline of Southwold. The owners' chickens roam free and complimentary eggs are often left on the guests' doorsteps. If the owners feel any guests would like to join them for pre-dinner drinks in the garden they duly invite them. A guest wrote: "Beautiful peaceful location and extremely welcoming hosts, who made us feel like family friends. Bonus of seeing barn owls flying over the property." 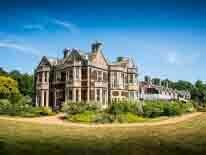 Located close to Sandringham, the hotel supports disabled guests and their carers or companions to have a holiday or period of respite together in the beautiful Norfolk countryside. The whole team, without exception, offers a very high level of hospitality and care. Guests have written: "I noticed how well the restaurant staff spotted when disabled guests needed help and provided it quickly and discretely", and "The team had an impressive can do attitude and were so friendly. I could not have expected any better support to give two ninety plus guests a better time." 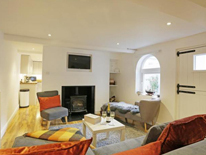 A beautifully presented period self-catering cottage, with some especially nice reviews. One mentions the thoughtfulness of the welcome: "There was a special welcome basket with local produce specifically chosen to meet our breakfast needs being a Muslim family, which we thought was a very nice touch from the owners." 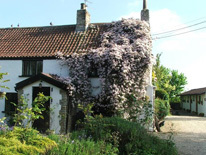 A four hundred year old holiday cottage in the small, pretty village of Colkirk, only twelve miles from the quayside town of Wells-next-the-Sea. Guests have enjoyed some unexpected treats: the Easter Bunny leaves chocolate eggs and Santa leaves Christmas presents in stockings for all guests (including pets). Bedding is provided to match children/teens age ranges. The personal attention of the owners is much admired by the guests; "The best thing about Sueños is its operators, Neil and Teresa. We met Neil at check-in and he was exceptionally welcoming, and it was that first impression that made all the difference. He was interested in hearing what we were in the area to see and do, and was at the ready with his own local knowledge to offer tailored advice to maximise our experience. Nothing seemed too much trouble for him, and you really get the feeling that he loves what he does, which is reflected in Sueños' reviews and accolades." 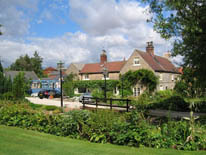 A luxury B&B located in Hundleby, on the edge of the Lincolnshire Wolds. There are some very nice reviews: "We were met in the afternoon by one of the owners. He was very friendly and helpful. He ordered us a taxi for the evening and supplied nice cakes and tea," and "I was particularly impressed that after I said that I had a preference for tomato juice over fruit juice for sugar reasons, it was provided the next morning." 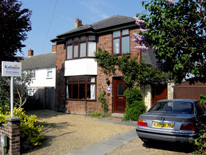 A self catering property directly off Aldeburgh's High Street. An 11am departure gives guests with young children a less stressful morning when they leave! A guest wrote: "We had a wonderful time, thank you for the welcome box and all the little extras that made travelling with a toddler easier - the highchair, the cot and he loved having his own little playroom. Great location!" 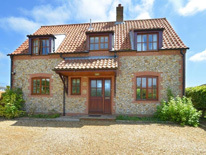 A spacious holiday house in the glorious Suffolk countryside, close to Lowestoft. Reviews include: "What stood out over and above everything else was how welcoming and kind Chris & Wendy were. You only have to scan through the guestbook in the house to see this is a common theme to everyone's stay. Good customer service goes an awful long way and we really felt as if nothing was too much trouble. Thank you for helping four generations enjoy a wonderful family break together." 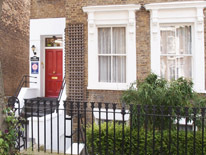 This family run B&B in Islington, north London offers exceptional hospitality, which has been commented on in reviews: "As a group of young women travelling to London we could not have felt more welcome or safe. The family is so lovely and cannot do enough for you." 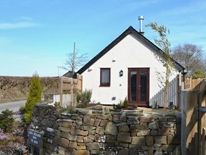 These luxury self-catering cottages are located in the tranquil Breamish Valley on the edge of the Cheviot Hills and Northumberland National Park. A guest remarked on what makes a stay there so special: "We arrived on Monday evening and were greeted like old friends by both Graham and Trysha. We walked into the cottage to the smell of homemade soup, fresh bread and a Jamie Oliver beef stew in the slow cooker, fresh flowers and homemade lemon drizzle cake. As a first impression, it's unbeatable." 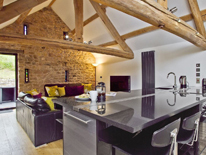 These beautiful Grade II listed, stone holiday cottages have been lovingly restored with traditional exposed beams and open fires. Guests have written: "Such a friendly welcome from Karen and Tom and all the home from home comforts make this a very special place", and "Unique location, fantastic wildlife and warm hospitality from Karen and Tom." This comfortable B&B is located in the small fishing village of Seahouses. 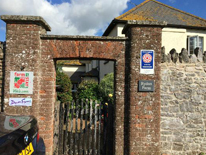 The way that the owners 'go the extra mile' is mentioned in reviews: "We arrived on bikes and a bit bedraggled from a downpour the day before. The owner totally surprised us with the offer of washing our laundry so we could continue on our ride with clean clothes." 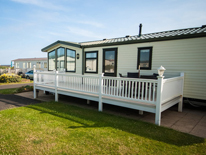 Idyllically situated on the beautiful Northumbrian coast, the park offers touring caravan pitches, holiday homes and luxury lodges for hire with access to their own leisure club. 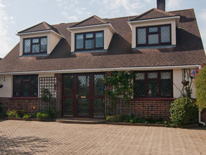 The Britton family operate with a keen eye to providing a quality customer experience. "We spent a weekend here at end of May in a lovely caravan. The park is spotless and has great facilities. Very family friendly." An imposing detached Edwardian Villa in Alnwick offering Bed and Breakfast accommodation. 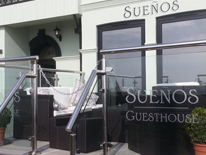 A review mentions: "This was our third visit and as always the service and standard of accommodation were faultless. Bruce and Jeanette are great hosts who really know how to look after their guests." 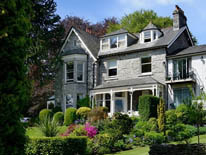 An eighteen-bedroomed hotel set in a beautifully kept garden at Grange-over-Sands, Cumbria. The management and staff clearly go out of their way to look after their guests: "On our final morning we were worried that our early train departure would mean missing the hotel's delicious breakfast. However, the staff assured us this was no problem and arranged for us to eat half an hour early. When we were unable to get a taxi to the station, the owner of the hotel took us in his car." 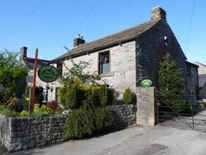 Nestling amidst the beautiful Central Fells at the heart of the Lake District National Park, the hostel has attracted many positive reviews: "On the second visit my brother injured his leg on the fells meaning a trip to A&E was needed. This rather spoiled our eating out plans but again I was invited to share in the owners BBQ and they even put some food on the side for him when he returned." 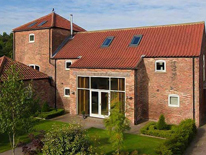 Luxury self-catering accommodation in five private, self-contained boutique barns within the grounds of the house. The wonderful hospitality does not go unnoticed in guest reviews: "Rachael, the owner could not have been more charming and helpful!! She even put up Christmas decorations for us and lit the log burner so it was toasty when we got in." Hosts of this boutique B&B have a wealth of experience as hoteliers and are dedicated to making every guest's visit a memorable one. 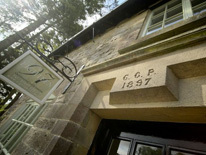 Guest reviews reflect this: "Upon arrival Claire was fantastic, superb communication to cater for all our needs. I asked for rose petals and drinks to be in our room as we arrived and it was all done with attention to detail", and "I asked if they had cranberry juice which they hadn't which was fine but Claire had got some ready to offer me the next day, it's things like that which go a long way." 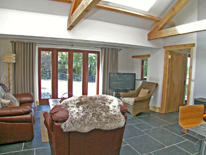 This magnificent self-catering accommodation offers traditional features with contemporary design and is set in an enchanting position beside a beck with tumbling waterfalls. Many happy guests have written reviews: "Alex & Tess have perfected the art of looking after their guests, if you get lucky you might even get a tour of Alex's stain glass workshops", and "One adjective is all you need..... STUNNING! The barn, the setting and the lovely owners." 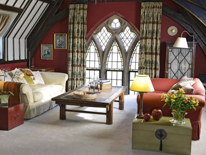 This sympathetically converted chapel provides bed and breakfast accommodation. Guests have access to a kitchen/dining area, which makes it extremely helpful for walkers. Reviews have included: "We were greeted by Maureen, a wonderful host who immediately made us feel at home with a cup of tea in the kitchen, which is comfortable and has all the facilities required to enjoy a relaxing breakfast and to make up a packed lunch for the day ahead", and "On arrival you'll meet the lovely Maureen and you'll immediately want to call her Aunty Maureen. 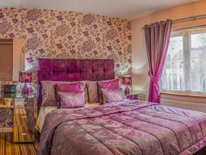 We were made to feel at home here"
A B&B just three hundred metres from Blackpool North Pier. Guests have written: "A lovely touch was some flowers that were put in our room and a special breakfast laid on in the morning for our anniversary. We will never forget what a lovely time we had", and "When our dog Izzy took an impromptu swim, we brought her back, slightly worried due to her being soaking and shivering; Alan & Michael brought us a towel and made a fuss of Izzy." 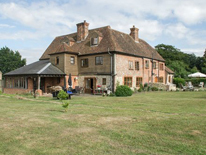 A Farmhouse Bed & Breakfast set in an idyllic location in Kent, offering great hospitality, luxury bedrooms and tasty farmhouse breakfasts. 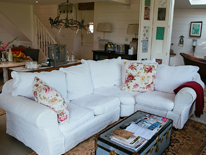 There are lots of lovely reviews: "My wife and I arrived in Alkham Court Farmhouse a little bit earlier than expected. The weather was great so we decided to sit in the garden and enjoy the wonderful view. When she arrived, Wendy offered us a Pimm's and ice cream with strawberries from the garden. How could it start better?" and "Speaking of breakfast, I enjoyed Wendy's homemade muesli so much she sent me home with a container - now that's 5* service!" 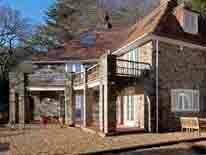 Set in the heart of the East Sussex countryside, there are numerous examples of the exceptional hospitality: "This was the most beautifully and tenderly I have ever felt cared for in a B&B or hotel. I really did forget I was there as a booked in guest and felt like a friend who had been invited", and "We had a lift from Ceri to the opera at Glyndebourne, and he collected us later. We shall certainly return to be pampered by Carol and Ceri in the future." A purpose designed, self-contained property set amongst farmland in the tranquil Elham Valley in the heart of the Kent countryside. There are many positive reviews: "The owners gave us a friendly welcome and showed interest in our walk. We were offered tea or cold refreshments. We were told of the surroundings and of the pubs in the area. We were also offered a lift to the pub", and "The owners were charming, Chris made us a welcoming drink and his wife was up at 5am to make us coffee, which goes way beyond the call of duty." 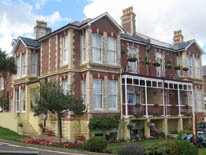 A two-storey late nineteenth century Victorian guest house where the owners provide excellent hospitality to their guests. They have many positive reviews: "The proprietors Hana and Steve responded to all our emails/Facebook queries on the spot, they even booked our ferry for us", and "They could not be more welcoming and friendly and nothing is ever too much trouble." 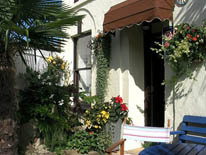 A friendly B&B only a few minutes’ walk to the sea and town centre. The reviews are all very positive and indicate a willingness to go the extra mile: "I left a cardigan and Steve even brought it into the middle of Worthing to me as he knew we were meeting family there. That really is above the call of duty!" and "Steve and Denise are an absolute delight to be around, from the usual warm welcome upon your arrival to the superb knowledge of their local area and beyond. (If they haven't got a leaflet on it, they're always willing to help, assist & inform.)" 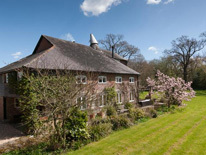 A converted square kiln oasthouse, originally built in 1890 and converted to a family home just over 30 years ago. The owners of this B&B are much praised by their guests: "Hosts who treat you as though you are family which made our trip so much more memorable," and "Our hosts even took us to a local restaurant so we could have a drink with our meal, which is indicative of the level of hospitality"
The hostel is located in a beautiful 100 year old town house, close to Canterbury's Historic City and famous Cathedral. Many guest reviews mention the wonderful staff: "Carmen and her team of wonderful staff did all they could to make my stay an enjoyable one. Each afternoon they would provide guests with a special treat - chocolate cake, scones, hot dogs, pancakes," and "When you come in, the staff are very friendly and welcoming, so that you feel at home instantly. They will help you find the most fitting room for the company you are traveling with (we were a group of six people and got a room for ourselves that had 10 beds." 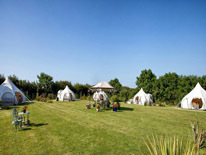 A family run glamping site in the heart of Kent. 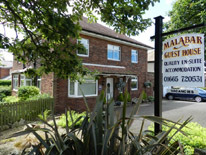 Many extremely positive guest reviews include: "Ami was very warm and welcoming and was on hand if you needed anything. The extra touches of wine / marshmallows / tea coffee etc were very much appreciated. What makes Kits Coty so special is that it is family run", and "They offered a lovely picnic box inside the tent which included take away menus, plates, knives and forks, cups and wine glasses. There was even a complimentary bottle of wine and marshmallows to heat on the outdoor fire pit. 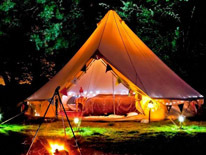 They have added an electric fire to warm up the tent and some fairy lights around the top of the tent which look lovely!" 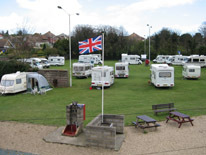 A small family run campsite situated a mile away from the beach, town centre and the only Royal Harbour in the country. They accept tents, caravans, motorhomes and trailer tents. There are many positive reviews: "The welcome we received from Mark on arrival was first class, he showed us our pitch and gave us a tour of the site. We then met Emma too, who gave us some information of local pubs etc. They are a lovely, friendly couple whom nothing is too much trouble to do," and "This is a great site for first timers and one lady who turned up with her kids and a tent in its box was helped no end with the owner, even putting up the tent for her assisted by another camper." 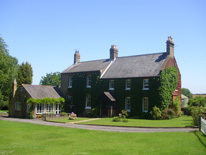 Close to the Roman Villa and the South Downs Way, this quintessentially English B&B has attracted some lovely reviews: "Angie & Nick are the perfect hosts and go well beyond the level of service expected," and "Great welcome after a long day's walk... tea, biscuits, carrot cake in front of a nice fireplace." 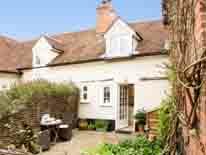 A lovely 15th century farmhouse set in beautiful countryside on the edge of Mersham village, three miles south of Ashford. 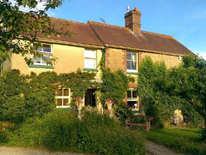 The owners put their guests at the heart of the business and have achieved many rave reviews: "Caroline and Geoffrey were once again superb hosts and we both fell in love with Teasel the dog", and "We stayed the second time in Stone Green Farm and it was again great. Our two sons are so happy to use the trampoline and to play football in the garden after a long journey from Cornwall. The cake we got with tea on arrival is the favourite of our son and he wants me to ask for the recipe. We are looking forward to our stay next year. We have never experienced such hospitality." 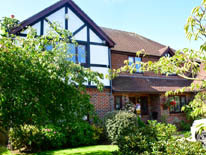 This Swiss-run B&B in Maidenhead is situated in a rural location surrounded by fields and wildlife. Guests have written: "From the moment we arrived we were looked after. Even though we had to leave early on the Sunday morning we still had breakfast made for us (6.45!!) which was also delicious", and "It is the hostess Vreny, a wonderful Swiss lady that makes this such a great place to stay. She was always smiling and nothing is too much trouble, from phoning a taxi to ironing a shirt in an emergency. Added to that, on my birthday she gave me a lovely card and upgraded my breakfast. Lots of places can keep rooms clean and tidy and provide a nice breakfast, but it is the little things that make it a great place to stay." 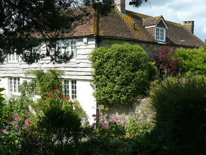 A comfortable country house B&B in the heart of the historic village of Amberley, near Arundel. Reviews are glowing: "Hosts Mary and Guy treated us like invited guests, rather than paying customers. Nothing was too much trouble for them. 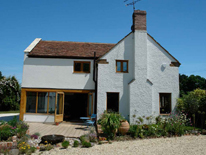 I hated to leave this lovely home and kind hosts", and "I stayed at The Thatched House recently for a cycling event. Mr and Mrs Leonard went out of their way to make my stay as comfortable as possible, including allowing me to return after the cycling event at lunchtime for a bath." 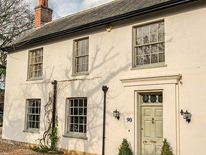 An elegantly converted 17th Century building combining traditional and contemporary styles, situated approximately 6 miles from Royal Tunbridge Wells within an area designated as the High Weald Area of Outstanding Natural Beauty. The owners are very friendly but not intrusive. 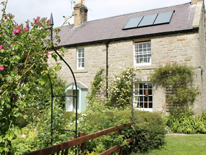 Guest reviews mention: "The house's location is perfect for country walks and Halla was kind enough to dry our muddy shoes by the Aga after we returned with them soaking wet!" and "The hosts, Martin and Halla, made us feel very welcome. They were friendly, very attentive, genuine, very helpful and extremely informative about the local area and things to do." 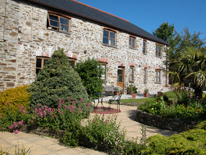 The hotel is set in a tranquil location in Illogan, near Redruth. Reviews include: "Paul & Bernice, the owners, are just simply super friendly people. Paul carries out the kind of front of house duties (and the garden tending) whilst the 'power behind the throne' has to be Bernice and her wonderful wholesome cooking", and "Paul keeps one very amused with his jovial banter whilst serving our food that at times caused all of the guests to collapse with laughter." 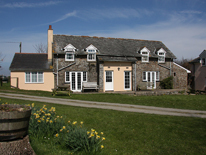 A friendly relaxed guest house in Dartmoor National Park. 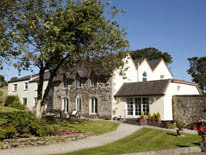 Many guests tell of the way that the owners made them feel so welcome, and that nothing was too much trouble; "I had forgotten my camera in Castle Drogo (forty miles away), the hosts got the camera sent to Yelverton within two days", and "A late breakfast was provided after my husband did the local organised park run a few miles away." 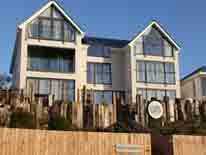 A contemporary, boutique guest house with elegantly appointed luxury rooms in Brixham. Guests can also arrange for relaxing holistic treatment. Reviews are full of praise: "The owners Richard & Julie were excellent hosts, very friendly and helpful. They have a very good knowledge of the area with plenty of advice about where to visit to get the best out of your holiday", and "I can't praise this couple and their guest house enough. They were so accommodating with everything, with attention to detail and more." A small hotel with large hospitality. Many of their reviews testify to this: "It may be small, but the welcome is huge. Accommodation is excellent. The food and selection was better than some of the higher graded places we have stayed at, and I being of gluten free dietary need was well catered for. Nothing was too much trouble for the owners", and "More importantly was the welcome and the way we were looked after, it felt more like I was home than at a hotel. It was so relaxing I was wearing my slippers in the bar. Thank you David, Carole and Margaret for a brilliant time." 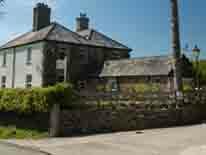 Superb farmhouse B&B accommodation, peacefully situated in the beautiful Tamar Valley near Tavistock. 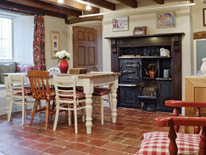 Guests return annually to enjoy good farmhouse cooking that uses local produce in a warm and friendly atmosphere. Reviews include some lovely endorsements: "Lowenna, Colin and family are the perfect hosts supplying just the right mix of attentiveness when required and absence when privacy is desired. In all the places we’ve stayed over the years we’ve never met a bunch as nice as the Edwards", and "In the morning Lowenna was so lovely to have remembered that it was our anniversary and she had left a card on the breakfast table for us to open. This is pure kindness and so nice to have a card from a local artist that she had known." A grade II listed town house in Penzance, offering bed and breakfast and splendid hospitality. The hands-on owner is mentioned in lots of guests' reviews: "Staying in the same room as three years ago - it speaks volumes about Matt's attention to detail that he remembered that; it was a bit like coming home. The hospitality at Cornerways is truly in a class of its own, with all the little things that really make a difference, and Matt is an exceptional host. There's always the extra bit, the individual tip for a day trip, the extra variation in the breakfast menu to ensure your well-being." 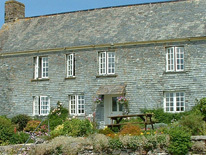 Guests can choose either B&B in the farmhouse or self-catering in one of the cottages. Now in its 5th generation of the Woodley family, past and present come together to provide farm accommodation at its best. Some glowing reviews include: "Nothing was too much trouble. We were travelling with a one year old and everything was set up for us before we arrived, cot in the twin room, stair gate, high chair etc. ", and "I didn't expect it as we went self-catering but the owners had left a cream tea ready for our arrival, tea bags and washing up liquid. 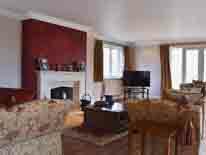 The owners were fantastic from the initial enquiry and throughout the stay. First class." Situated just outside the quiet rural village of Pucklechurch in Gloucestershire, this is a very green business. Reviews mention: "Sue and Pete welcomed us into their home almost as if we were family. Great breakfasts and entertaining conversation started each of the five days we stayed", and "Sue and Pete had even written us a card for our anniversary, which we thought was very sweet." 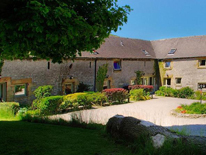 In an ideal location, only a short level stroll from the beautiful Cotswold village of Bourton-on-the-Water, Holly House provides exceptional hospitality: "Jayne and David could not have been nicer. They were charming and accommodating during our entire stay", and "I'm not sure I have had better service or friendlier hosts, ever. The room, breakfast and location are brilliant. Jayne goes above and beyond including even giving us her baked muffins as a late night snack." An elegant Victorian Guest House where the owners clearly engage with their guests and do everything they can to make them feel at home. 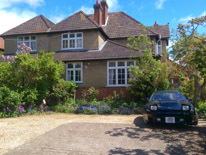 There are lots of reviews which paint a glowing picture: "Jill & Warren could not have been more helpful, dealing with our constant requests for taxis and the lemon drizzle cake will last long in the memory", and "Jill and Warren are very kind people and the best hosts I’ve ever met. Both of them really do their best so that their guests feel good and have a nice time at their beautiful house. Whenever we needed help or had a question they gave us lots of information and great advice that made our holidays the best we ever had in England." 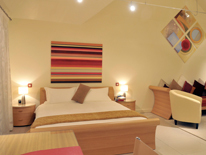 An attractive and friendly family-run B&B with delightful public areas and pretty bedrooms. The 'King' and 'Queen' breakfasts are much admired: "We loved the Queen's Breakfast. We were made to feel so at home, chatting with Edith and Gary, and the little extras that were available made the B & B stand out from the average." "Gary and Edith were wonderful and welcoming hosts. I asked Gary if he was a chef, as the ‘King’ and ‘Queen’ breakfasts were cooked to perfection." 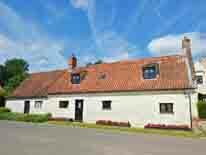 Little Roseveth is a working smallholding offering bed and breakfast rooms, as well as three self-contained cottages. The host produces home-grown breakfasts straight from her Aga and cream teas in the afternoon. 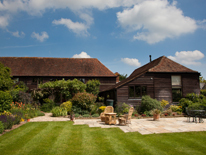 The reviews are excellent: "Jane is an amazing host, so helpful and accommodating. We happened to stay on a few of the hottest days/nights of the year so far and on enquiring if there was a fan available, Jane went and purchased one after the first night, just so we could have a more comfortable sleep." Lowarth is the old Cornish word for garden and this beautiful secluded paddock has been used to create Lowarth Glamping, a small but luxurious site in a designated Area of Outstanding Beauty. Reviews have been very complimentary about the management: "Avril has put her heart and soul into Lowarth", and "Martin, the friendly & kind site manager, is available day and night. He is out checking tents on windy nights. He lit the fire pit and provided children with sticks to toast marshmallows and gave adults cushions and blankets." 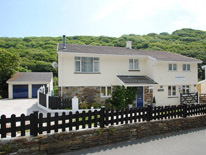 This lovely Boscastle B&B is perfectly situated adjacent to the tranquil Valency Valley. The hosts provide warm hospitality with good humour: "Breakfasts were excellent - lots of choices, beautifully prepared and presented by Jackie, and served with just the right amount of fun by Paul", and "The hosts Paul and Jackie were wonderful. They gave us delicious and hearty breakfasts, wonderful suggestions of where to eat and what to do, and were warm, charming and very welcoming." 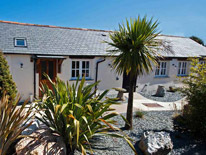 A self-catering holiday cottage, situated between Launceston and the north Cornish coast. A very generous welcome pack is provided which includes a cream tea, bottle of wine, with a selection of chilled meats and pate for guests to sample. The children's toys are well received: "Debbie and Roger had organised some fab games and toys for our visit. Some were already at the house - playground, skittle alley, go-carts, giant Jenga and connect 4, and others they brought in especially for us - a box of dolls, an enormous sack of big Lego and cars and trucks. And all the beach stuff you could wish for too. They know full well if the children are happy, the grown-ups are happy too! We all had such fun." 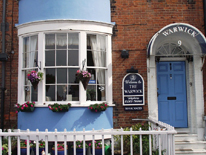 Nundeeps B&B is ideally situated in a quiet spot on the edge of Hugh Town, within easy reach of the beaches and the quay. The owner is a Scillonian and offers genuine hospitality. Reviews include: "My husband had an accident and Liz was quite concerned, went out of her way to be helpful, driving us to the local hospital", and "Liz was not only welcoming to us, but also our friends who were staying at a nearby self-catering place." A beautifully designed, waterfront holiday house with private terraced gardens and paths giving access to a beach house, picturesque South Sands Beach and water sports facilities. 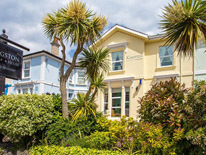 The property has recently been refurbished to an exceptional standard and cleverly designed to be used as one large family house or two self-contained apartments. A review mentions: "I performed a murder mystery event at Oversteps and was very impressed with the house. Beautiful surroundings and amazing views of the sea and beach. A very modern and large house which was well furnished. Very welcoming and friendly owner too. Couldn't recommend it more!" A boutique Guest House with six rooms owned and run by escaping Londoners. The property is remarkable and the hospitality exceptional. Reviews mention: "When we arrived from Australia in August for a five night stay, Simon greeted us with champagne & a beautiful Victoria sponge made by Andrea (to celebrate our wedding anniversary)", and "Simon and Andrea are amazing hosts and offer a concierge service second to none - our whole week of wining and dining completely taken care of - thank you both so much." 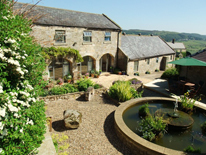 Poole Farm B&B is situated in a farmhouse dating from 1892 and adjacent to the River Tamar. It is close to Launceston and a short drive to Dartmoor National Park. Reviews are enthusiastic about the hosts: "Louise and Greg, the owners, treat you as friends staying in their home. Nothing is too much trouble for them in order for you to have the most pleasant and relaxing stay. They take hospitality to the next level, and are a really genuine and lovely couple", and "Greg and Louise had thought of all the fine details. There were plenty of refreshments within the room including an array of teas and a coffee machine with a selection of blends. Something I really liked was the quality magazines associated with the local area and as it was December they had decorated a mini Christmas tree and left a Christmas card in the room prior to my arrival which I thought was such as lovely, festive touch." A holiday house situated on the outskirts of the small village of No-Man's Land near the pretty seaside town of Looe in Cornwall. 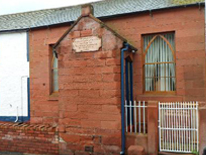 It is owned and operated by The Lin Berwick Trust and offers accessible holiday accommodation for up to 6 guests. The caretaker lives nearby and is on call at all times to assist. This was especially helpful when guests got scared during a thunderstorm and the power went off at 10.30 at night. To calm and reassure them, extra battery lighting was brought. 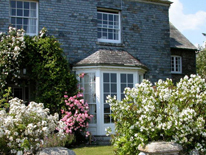 Offering Bed and Breakfast and self-catering holidays on the Roseland near St Mawes in Cornwall, there are many positive reviews about the owners: "Mark and Barbara couldn't do enough for us - especially as our car broke down just 8 miles from the B&B and the RAC took 4 hours to arrive. Mark picked me up while my husband waited, gave me a glass of wine and generally helped to relieve my anxiety. When my husband finally arrived at 10pm, they made him supper! And the following morning took us to Newquay to collect our car from the garage." A working dairy farm seven miles from Exeter. The host is very friendly and has had many kind reviews: "The welcome as before was warm and friendly, Sally the proprietor is a generous host not only in the fayre on offer but also with her helpful hints of places to visit and recommendations for an Evening Meal", and "Sally herself was a great host; I felt like I was staying with a friend for the night." 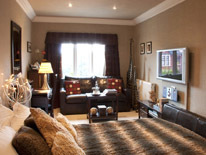 In a picturesque setting between Ilminster and Taunton, breakfast is served in guests' bedrooms. This is very well received and reviews are very positive: "Pete & Sue make you feel very welcome and they give great attention to detail in everything. At first, I didn't think having breakfast served in the room would work very well but it’s wonderful", and "Pete and Sue even offered that, as the sun was shining, we could have breakfast in the garden by the water lily pond. Out came the cushions for the reclining chairs, up went the sun brolly, and our breakfast arrived in silver service fashion, complete with a delightful vase of garden flowers. In the evening there were candle nightlights in each of our bedrooms and bathrooms." The 25 doesn't just offer stunning interior design, it also offers wonderful hospitality. The efforts of the hosts do not go unnoticed in the many glowing reviews: "Andy and Julian are so welcoming and think of every last detail. On arrival we were given a drink and brownies (which were incredible) and we also found homemade biscuits in our room", and "We loved all the personal touches that made our stay perfect, and Andy and Julian were great hosts with nothing too much trouble. From the flowers in your room to the daily goodies from Andy, the 25 has everything for a great stay." The Beeches is located on the cliff top above Dawlish. The hosts keep a beautiful home, and they have attracted some very favourable reviews: "My wife and I are well seasoned travellers, staying in around 10 to 15 establishments every year, so take everything this review says as gospel. The owners, Christine & Ian, are the most passionate B&B owners we have ever meet, and we have met many. Their passion shines through in every aspect in this B&B. The attention to detail is everywhere you look." and "We enjoyed our chats and great banter with both Ian and Christine. They couldn't have made us more welcome and we will definitely return." 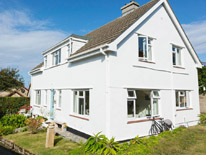 This holiday cottage at Bradworthy near Bude has attracted many lovely reviews: "Brian and Sue were so friendly and welcoming and made sure we had everything we needed. On arrival they had even left us cream tea, a bottle of wine and flowers, which was greatly appreciated", and "Brian and Sue are very welcoming and leave you to your own devices and happy to chat and help if you need it. The welcome pack was a lovely surprise - all we had to do was put the kettle on - scones were delicious! The added touch of the card, flowers and wine were lovely. Thank you for making our stay so memorable." This holiday home with amazing sea views at Hartland near Bideford is a beautifully converted barn. A guest wrote: "The Cart House was the perfect place to relax and unwind with the added bonus of a sea view. The owners had thoughtfully supplied lots of extra touches; binoculars for watching the birds in the garden, lovely scented hand cream, a digital radio, to add to the enjoyment of our stay. On the first chilly evening, Stephen came to make a fire for us in the wood burner so we had a cosy evening after our long journey. I would highly recommend this peaceful retreat." Originally built as a gentleman's residence, this large Edwardian home stands in its own grounds set in an elevated position in the small coastal village of Blue Anchor. There are lots of glowing testimonials: "You are made to feel nothing is too much trouble, Nigel even supplies the weather forecast over breakfast and Paula is one of the friendliest people we've ever met", and "Paula and Nigel made us so very welcome from the moment we arrived. Tea and cake was provided on arrival. When our car had a puncture Paula found us a garage that could help on a bank holiday!" 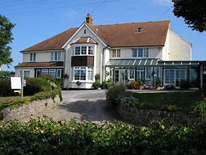 A B&B above Teignmouth with fabulous views. There are many glowing testimonials: "We had a lovely stay, Anne and Andy were excellent hosts and know how to run a B&B properly, with added little extras at no extra cost e.g. cream tea on arrival. They couldn't do enough to make your stay a good one", and "Had a very, very comfortable stay at the Minadab. Andrew and Anne couldn't have been more welcoming or helpful. Breakfasts were to die for and scrumptious homemade cookies in a cookie jar in our room, refilled each day. Thank you both." This was once a Victorian schoolhouse, built in 1854 by the local brewery. The owners are highly regarded by their guests, who write: "There are no hotels I have ever stayed in let alone B&B to match this one. Wendy and John are just the most exquisite hosts, their team are just wonderful, polite, friendly, extremely helpful, patient and so kind", and "Wendy & John are such a lovely, helpful couple who can't do enough for their guests, even loaning me their iPad charger (for the weekend) having forgotten mine! Wendy made our stay so easy by helping plan our route around this beautiful part of the country & advising & pre booking top notch places for us to eat." 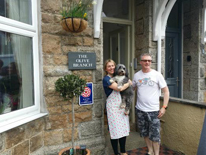 In a superb holiday location in St Ives, just minutes from the harbour, town and large sandy beaches, this delightful B&B is run by the Morgan’s (and their dog George). Reviews are all excellent: "The welcome we received from Justin, Julie (and of course George) was outstanding, they really couldn't do enough for us", and "I arrived with my wife for my first visit and I was not disappointed. From our arrival and being welcomed by George, the definite star of the show, to the day we left we could not have been made more welcome. The location, the hospitality, the accommodation for me is definitely a 10 out of 10. Thank you very much Justin and Julie." 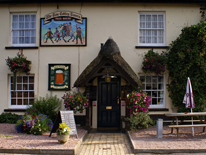 A family friendly pub with rooms in Spreyton, Devon. The landlord and his team seem to create a great sense of fun. 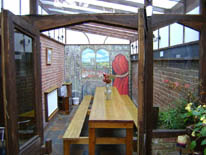 This is a wonderful examples of their exceptional hospitality: "The staff were amazing, catering for all 25 or so of us! To top it all off when our taxi didn't arrive on the morning of the wedding, all of the staff dropped everything and drove the 14 wedding guests to our venue in Hittisleigh! How many pubs can you say would do that?! AMAZING! Thanks guys for being fabulous!" 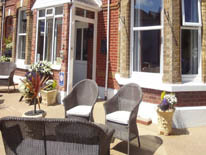 This friendly B&B is in an ideal location, facing the beach and backing on to Weymouth's 17th-century harbour. The very welcoming hosts have been mentioned in many of the reviews: "Julie even put a mini fridge in our room when she discovered it was our wedding anniversary whilst we were staying in case we brought a bottle of wine back! How's that for service?? 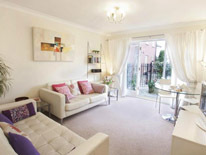 ", and "Keith & Julie were very accommodating. Keith even 'reserved' our parking for the afternoon by using his car in our space, so we wouldn't lose it upon return." 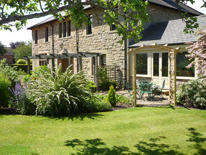 Family friendly self-catering holiday accommodation near Torrington, in Devon. There are many glowing testimonials: "The cottages far exceeded our expectations! Barbara and Barry were so hospitable. They were so helpful and friendly. The highlight for both our young girls (2 and 1 year olds) was feeding the animals with Sandie (and Barbara). They both loved her to bits and she was so good with all the children", and "The farm is run by Barbara and Sandie, who are two of the loveliest people you can meet. The whole place focuses on making the children happy. They can do as much or as little (as much in our case) as they want on the farm." Three generations of the Wright family have played their part in restoring Treworgey's beautiful period holiday cottages, overlooking the Looe River Valley. Real thought and attention has gone into ensuring guests are comfortable and have the best holiday possible. Reviews are all glowing: "We arrived tired and with jangled nerves, and left completely rested and refreshed. There is actually something quite magical, and somehow "healing", about Treworgey which can't easily be put into words. Thank you so much to all the team", and "We ordered food from Coombe kitchen and happened to mention to a passer-by that we didn't have any BBQ tongs, moments later a full BBQ set arrived. What service!" A small and beautifully presented B&B in Wareham. The breakfasts are amazing and their reviews are all really positive: "The owners made us feel right at home and they were extremely friendly and chatty", and "From the moment we arrived to the moment we left Jane and Alan were very welcoming and nothing was too much trouble for them." Located on a working farm in picturesque Pembridge, Herefordshire, Lowe Farm B&B has wonderful views of the Black Mountains. The owners have extended traditional hospitality to provide a hot tub for their guests' use. Reviews are very favourable: “In the 3 days that we stayed, we were made to feel part of the family and nothing was too much trouble. Juliet insisted on being our taxi service the night we went out, and bought me 50th birthday presents (which reduced me to tears - such a lovely touch)." There’s an indescribable beauty to this luxury holiday home, that sits beside the glistening waters of the River Avon at Alveston. The interiors, the garden, the local amenities and the location - all the boxes are ticked for an unforgettable holiday. 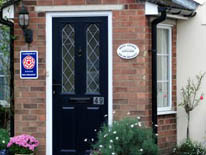 There are some lovely reviews: "Martin the owner could not have been more welcoming or helpful. A great welcome basket on arrival was greatly appreciated." 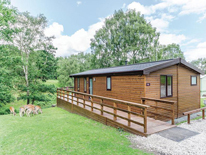 Silver Trees is a quiet static holiday home park on Cannock Chase in Staffordshire, run by the Barber family. 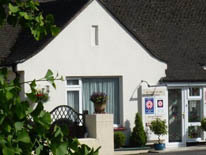 There are many very good reviews: "This place is like no other lodge/caravan park we have stayed at before. We stayed in Stags View lodge which was very well equipped, cosy, new and, most importantly for me, spotlessly clean. Trevor and his son in law were both very nice and chatty, it makes all the difference when you receive a warm welcome." These two holiday homes form part of the important Grade ll listed farmstead of Crag House Farm in the heart of the beautiful North York Moors National Park. The hosts are always on hand to help but are never intrusive. Reviews include: "The services, the facilities, and the comfort of this property are just outstanding and extremely well thought-through with taste and style. Your hosts, Liz and Danny will make you feel extremely welcome, always happy to help or give advice, and yet will leave you in peace to enjoy your stay to the full." 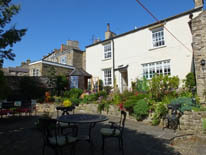 An 18th Century guest house in Leyburn, North Yorkshire where the owners ensure that their guests’ comfort comes first. The many excellent reviews say it all: "Wonderful friendly couple who went the extra mile to make sure I was happy. Fantastic breakfasts which lasted me all day", and "The owners were fantastic. I stayed with my son as he was completing the Para 10 run nearby. After he had finished the run they let him go back to the hotel for a shower before we set off for home." 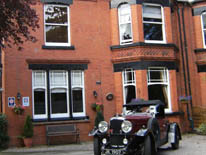 A boutique B&B in the stunning National Park village of Goathland, Whitby. The hosts are much admired in reviews: "Tim and Fiona are such kind, thoughtful hosts - we felt welcome the minute we arrived, almost like meeting up with old friends again," and "We were invited for tea and cake in the dining room and had a chat with Tim and Fiona who told us what was happening in the area, places to go and their plans for Eighteen97. We asked if we could come back mid-morning the day after to get changed for our lunch, they replied, "No problem, come and go as you please," which is very refreshing compared to some B&Bs." 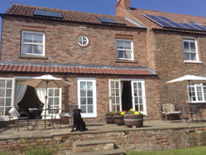 This farmhouse B&B is set in a tranquil location in an area steeped in history, on a hill rising above the Vale of York. The host is much admired in her reviews: "With her warm and friendly personality, attention to detail and kindness and hospitality, Nettie is definitely the Hostess with the Most-est! This has to be the best B&B we have stayed in", and "You are absolutely amazing Nettie and we love staying with you. A great big hug and thanks for making Graham's birthday very special with all you did. It was so wonderful to come back to our room and find the extra special goodies to celebrate with and all the trouble and time you had taken. Nettie, you are beautiful and simply the best". Longhouse at Little Barugh in Yorkshire was a traditional working farm until 1997. 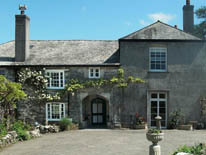 It is now a wonderful holiday home owned by Dorothy and Paul Ashton. There are many positive reviews which highlight the hosts' hospitality: “The hosts Dorothy and Paul were extremely accommodating, friendly and helpful without being intrusive. The Pickering area invites you to explore and enjoy the outdoors, but such is the comfort of Longhouse - you can enjoy staying there without venturing out. We did of course go out - Dalby Forest courtesy of Dorothy and Paul. 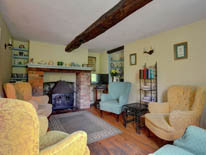 Thank you Dorothy and Paul - the best self-catering cottage we have EVER stayed in." 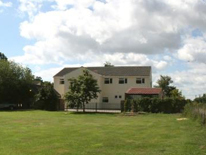 Monkbridge Court comprises three self-catering holiday apartments, which can be rented for weekends, mid-week breaks or longer. 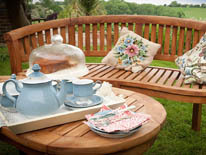 Reviews mention: "Angela has designed and catered her apartments for every eventuality, she has thought of everything from a lovely footstool to rest your feet and even an apron that displays the Monkbridge Court logo", and "Everything you could wish for is provided and more, even to a welcoming tea tray and drink of sherry." 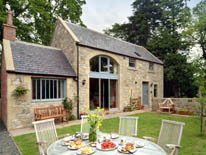 Dovecote Barns offers self-catering accommodation, suitable for groups of up to 12 people. The host, Brigita, has great attention to detail and is very welcoming. 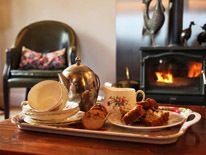 Reviews mention: "From the moment we arrived Brigita ensured that we were well looked after, the welcome basket was a lovely touch and The Irishman's Cottage was the perfect romantic getaway. It was the little things like luxury toiletries, nice crockery and glassware to enjoy our complimentary prosecco, so good we booked again while we were there for later in the year!" The building dates from 1700 and is set in 20 acres of gardens and grounds in the beautiful Went Valley in West Yorkshire. The management and staff provide exceptional hospitality, which is recognised in many reviews: "It was the best experience in a hotel this year, and I am in a hotel about twice a week. The staff were excellent and things happened by anticipation before I asked", and "Overall, our stay completely exceeded our expectations and we had a fantastic time. They also gave us an anniversary card and a ribboned newspaper as our 'paper' first anniversary gift, which was a lovely touch." 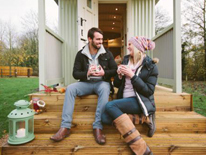 There are six unique, carefully designed self-catering lodges and two snug Shepherd’s Huts tucked away at the foot of the Yorkshire Wolds, on the edge of the small village of Bishop Wilton and not far from the historic city of York. Guests have said: "The cabin is very spacious and the hot tub was great. The owners were very friendly and approachable, but in no way intrusive on our romantic break", and "Ruth could not have been more helpful. We loved the added touch of the live webcam feed from the bird box."